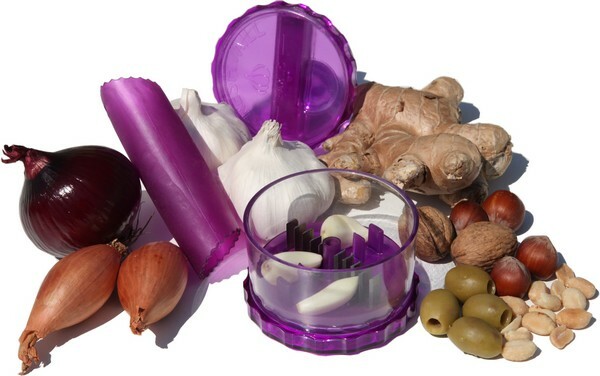 12.5×6.5xH12.5 cm – Delivered in a 4 colour pcarton packaging containing 1 hand mill and a garlic peeler. Body in SAN plastic. Blades in stainless steel. Recovery plate in PP plastic. Dishwasher safe.